A Martinez High School freshman was found dead in a pool over the weekend in an apparent drowning. The student, Andre Parrilla, had just turned 15 years old last week and was set to celebrate his birthday with his family on Sunday. Instead, police found him unresponsive at a pool after 4 a.m., just hours before the family celebration. "We are not speculating what happened in terms of the events. Our main focus is trying to support our staff, our students, and our schools," said CJ Cammack with the Martinez Unified School District. As word of the teen's death spread through the school Monday morning, several grief counselors were on the campus. "He was a really good football player," Brandan Patrick said. Everybody liked him and he was really funny." 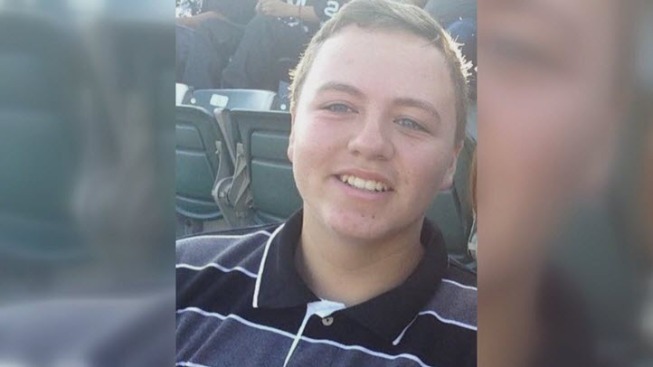 On social media, grief over the teen's death grew by the minute. Several hundred dollars have already been raised for Parrilla's family on a crowd-funding website called Her Smile. The donation was set up by the family of Jenna Betti, another Martinez teen who was struck and killed by a train two years ago. "Unfortunately, this is not the first tragedy that's hit our community," Cammack said. The sheriff's department is now investigating Parrilla's death. Toxicology tests could take six to eight weeks.